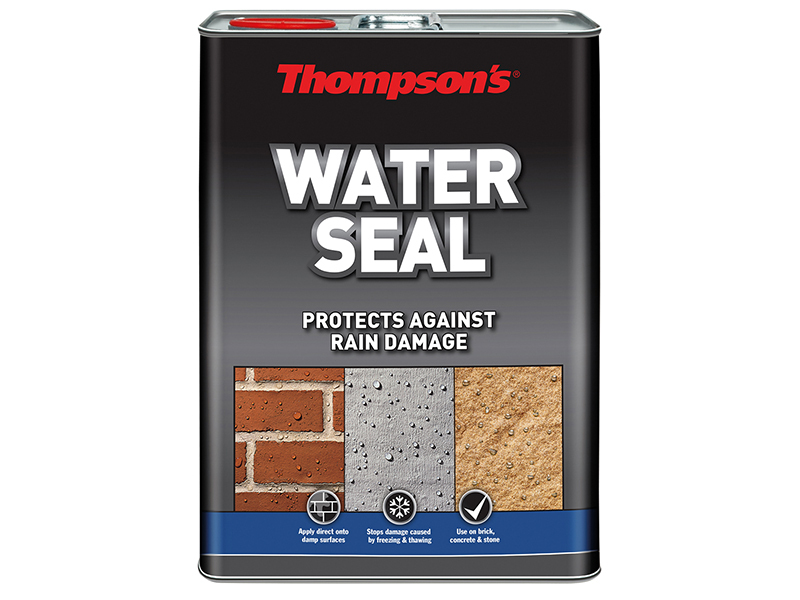 Thompson's Water Seal utilises hydrophobic technology to deliver invisible protection against water damage. The deep penetrating formulation travels deep into exterior dry porous surfaces to form a breathable membrane that allows moisture vapour inside the substrate to evaporate whilst protecting against water penetration and damage. 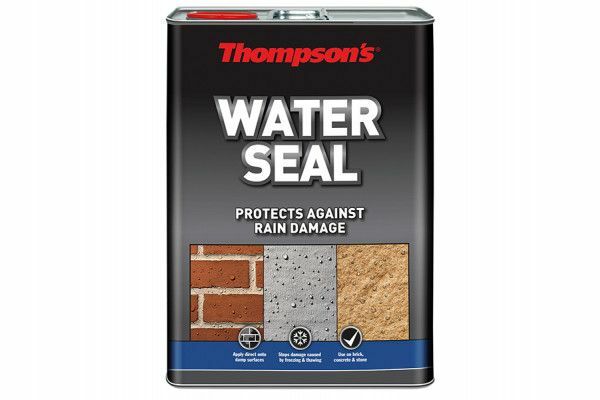 Thompson's Water Seal has a unique formulation which, unlike some waterproofers, penetrates the surface therefore waterproofing even after the initial beading is gone. It will not be destroyed by ultraviolet light and is long lasting even under heavy moisture conditions. Assuming application instructions and coverage guidelines are adhered to it provides effective water repellency for years. Suitable for use on brick, concrete and stone. For exterior use only.